I assume that a 70 person capacity single deck, as specced for the 301, effectively means a 12m long vehicle and not 10.8m? I understand the reason for the proposed 161 rerouteing - the banned left turn out of Woolwich New Road - but I think they've got the answer wrong. The 161 used to follow this routeing after Powis St was pedestrianised, when it had a peak hour extension to Charlton. It was fairly swiftly changed to something akin to the current routeing because there were no common stops westbound in Woolwich with the 177 and 180, a mistake that seems to be being repeated. I would - and will! - suggest that it should run via Vincent Road, Burrage Road, Beresford Street and Woolwich High Street instead so that there is a common stop for buses along Woolwich Road and buses stop closer to stations. I really don't see why the 161 needs to go to North Greenwich, the 132 is much quicker from Eltham and the 486 from QE Hospital. Terminate the 161 at PD as Stagecoach are getting it and extend the 99 to North Greenwich. As for Woolwich to Greenwich presumably the thinking is that Crossrail frees up capacity on Southeastern for such journeys? I feel like they were a bit lost as to where to send the route after Abbey Wood now that the 301 has been born - the South Thamesmead roundabout terminus seems like it's simply been chucked there. The frequency decrease makes sense though now the 301 is running alongside a chunk of it. This very important route gets an important extension into Lewisham - gets my vote especially if it can help relieve the very busy 108. TfL seem to have slightly admitted that the 8 minute frequency during the peaks was slight overkill given that the capacity boost it got when it went deckers was the help it actually needed. 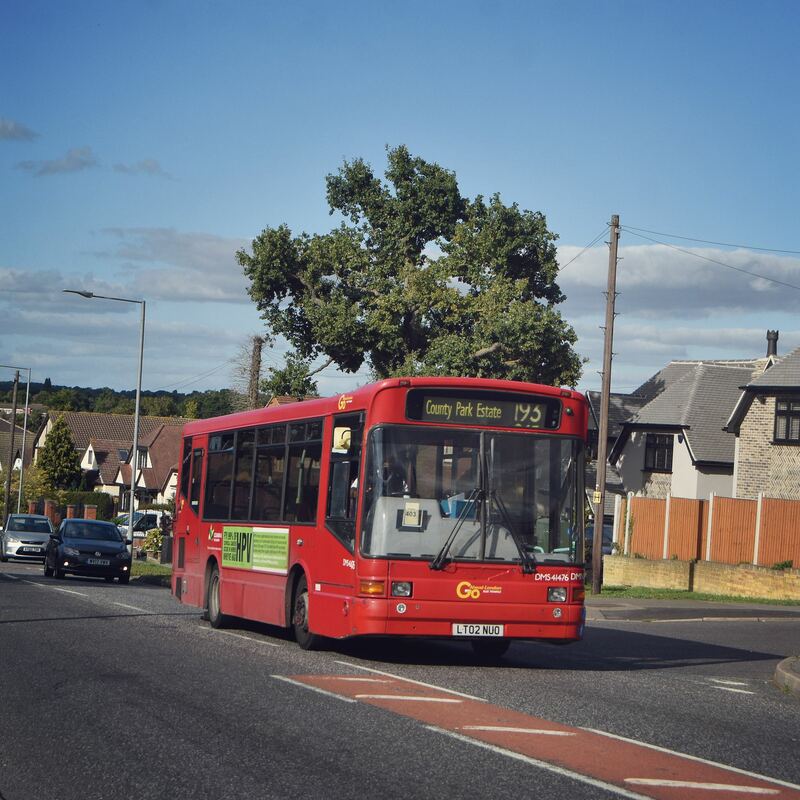 I think the changes to the 180 on the whole are ok though the loss of a route along Woolwich Road & Trafalgar Road leaves the already busy 177 as the sole route from Greenwich to Woolwich/Thamesmead - as others have suggested, a simple diversion of the 161 to Greenwich would solve this. I also agree with stuckonthe486 in regards to running via Bugsby Way - I've used the Smyths here multiple times now despite living nowhere near it but there is some demand here and it saves sitting at the Woolwich Road roundabout in heaps of traffic. The extension to Erith is welcomed though does it really need to go beyond the town centre to the quarry? I'm not really sure why they've done what they've done to this route - quite a lacklustre change really. Decker conversions - yes please. Each route here has it's reasons and I support them fully. I don't like this change because it seems to just simply skirt the town centre rather than serve the pedestrian area, Woolwich Arsenal or the market area. As I mentioned before, I think more people would rather the 161 be diverted to Greenwich in place of the 180 than this re-routing. I suspect Knee Hill has been deemed unsuitable for double deckers? On the rare occasions the 229 has to be diverted away from Abbey Road, it serves Knee Hill. Probably not the same as running a scheduled service? I assume there must be a restriction somewhere on the 301? 244 and 291 would be interesting on a double-decker! Some of the roads on the 244 are quite narrow from what I remember! Not necessarily - TfL may simply be starting off cautiously and seeing if Crossrail brings the desired numbers before looking at further increases or decker conversions. Scheduled service or not, I'm pretty sure a road not normally used by buses has to be tested before given the ok - if that's the case, then Knee Hill won't be an issue given twobellstogo has seen deckers along Knee Hill before. Knee Hill has certainly been used by out of service vehicles returning to BX. Obviously no passengers are on board but if there is a restriction, I doubt it's insurmountable. 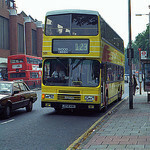 I have a vague recollection of reading somewhere - it may even have been on here - that route tests were run with double deckers on the 244 and B11 a few years ago, but they failed because of overhanging trees. I suspect the 244 Broadwaters stretch may prove a difficult sell. New Road is the problem as far as the B11 is concerned. If the 301 is ok for double deckers it seems crazy not to have them, I'd certainly expect the route to be busy at peak times. Shades of the 422 with single deckers years ago and buses getting absolutely rammed at peak times. If Broadwaters is ok for double deckers, I think there were some tree issues there, it might be an idea to replace that part of the 380 with a double decker route for extra capacity, the 161 perhaps which I don't think should go to North Greenwich. As for Woolwich to Greenwich I guess it'll be a case of wait and see how things pan out as to whether the 177 is adequate? In regards to the 469 it links Upper Belvedere directily to the crossrail. Or to Bromley and the 320 withdrawn from Catford, stand space would be a problem though. B11 with a bit chopped off and frequency reduced to only every 20 sounds worrying, but then again let's see if the addition of the 301 can remedy that. 244 and 291 to DD - yes yes. Good to see 244 also surviving, why on earth did people want it withdrawn and replaced with other routes?? 291 I heard it is a massacre in the peak (and I often see 1door buses on it!!! ), so the locals will surely be delighted with the upgrade. 129 finally gets extended, but it's still breaking 180's Lewisham links. I really wonder what effect it'll have on 108 and which route will be faster. Will the E400s freed from 36 complete rest of its allocation (not much work needed, they already have the blinds)? I still liked my own idea better of keeping 180 as it is on its western end, and only to tamper around with the 129, but oh well. Erith 180 extension is good. These changes if they go ahead will coincide with new buses on the 36 and the 171 will likely to have been awarded with new so I can see plenty of buses spare for the increase to the 129, 180 and DD conversion of the 244. 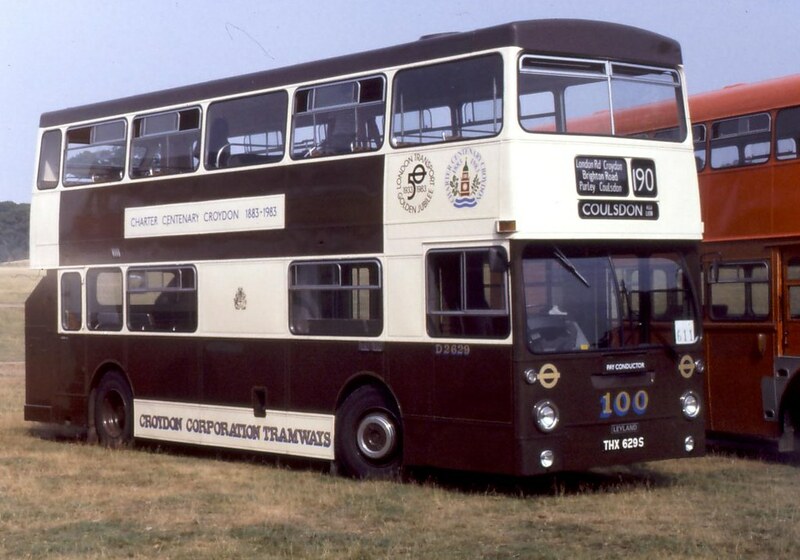 TFL could use the award of the 99 with new buses for whoever wins it to free up ones for the 178 and 291 DD conversion. With potentially a few spare buses from the 36 and 171 I can't see why the 301 can't start DD to save having to buy high capacity SDs. These changes are not until Dec 18, so why would you be looking to use buses for the 178, 244 and 291 that become free a year before, especially as they will all begin new contracts before then, so might not even be retained.